Two crazy and very entertaining adventures through easter egg-filled lands. During life, we have many different experiences, where some of them can stay with us for life in a way or another. They can be in the real world, or in one of many we visit whilst watching a movie, listening to music or playing that new or classic video game. For example, who played Ocarina of Time, A Link to the Past or Breath of the Wild and doesn’t have amazing memories from them? When creating a new game, it’s amazing to look at these unique gaming experiences and think about how to bring them to your new project. Shiro Games did that and decided that the best way to make a new title, was to honor some of the moments and levels they treasured from the history of video games. Thus was born the Evoland series, a series of 2 games that takes all and tries to make a new unique experience out of it. The first game originally released in 2013, while being followed by the Sequel in 2015, and both were well-received by the public. So in 2019, Shiro Games decided to pack both games together and released the Legendary Edition in many platforms, including the Nintendo Switch. How do these games hold up after a few years? Let’s find out. The Evoland series is hard to analyze, because, in many aspects, the game can be considered unique. Take the visuals for example. Both Evoland games feature an array of different locations represented in many different visual styles. For example, in the first game, you start playing in an 8-bit visual and through the story, the quality improves even reaching the 3D graphics. In the sequel, each time period is represented by a unique visual style, meaning that the same areas are represented in different visuals styles and that surely ended up being a big job for the artistic team. Even with this enormous task at hand, I have to admit that they pulled it off splendidly. Each graphic style keeps the characteristics and limitations of that specific era, while being easy to understand and follow and clearly expressing everything that the game wants to. While in 8-bit, for example, you won’t see the plenitude of colors and you will see the pixels as it would happen when you scale an 8-bit game to modern displays. The weakest of the bunch is the 3D designs, but that doesn’t mean they are bad, quite the contrary, they are also splendidly done, but don’t stand out as much as the amazing work that went into the other styles. The animations also follow the restrictions found in each style, meaning that in older ones, you will see fewer frames walking animations or chest openings. It all works together to reinforce the charm and the incredible and talented work that has been put into producing each and every detail that makes the visuals of both games. I also can extend my compliment to the sound design. The game feature this same progression when it comes to sound effects and music designs. So no modern sound effects in 8-bit scenarios, giving an bigger credence to the games’ worlds and proving that the team did their job and studied a lot to nail the score for the game. That audio quality not only is related to fidelity, but how well the songs fit into what’s happening and how memorable they can be. Be sure to play both games with the music and sound effects on. When I said that the Evoland series is hard to analyze, I wasn’t only referring to visual and sound department. As for gameplay, things get even more crazy, especially, in the sequel. Both games are mainly adventure games with RPG elements, much like the Zelda games it is basing on, but as you go through the adventures, things go berserk, as they change the gameplay style, in specific sections of the game, to adapt other video game genres as a way to make a tribute to them. Don’t worry, I won’t spoil what genres show up more than necessary. These gameplay changes make a game series that always provides you with new and unique experiences that are supposed to refresh the interest and novelty of the game’s gameplay system and to be honest, most of the times, they really do that. The core gameplay, that is the adventure aspect, is very well done across both games and features a nice progression as you go through, starting with you receiving the sword and getting more modern gameplay characteristics as you go through the game. Apart from the Adventure aspect, the many other different gameplay genres that are represented in the game normally follow similar excellence in quality found in the main gameplay style and in other areas of the game, while also being well placed in the universe. I can even say that some style like the candy crush-esque match 3 and final fantasy-inspired turn-based combat are memorably done. Not all are winners, however, as a small quantity, such as the rhythm game, felt short in length, being only used in a boss battle, for example, or aren’t that well executed, feeling clunky to play. Still, don’t let this small flaws take your enjoyment of the amazing gameplay composition that has been set up in either title. Storywise, both games feature unique stories that encompass and explain in a certain way, the visual changes, the different gameplay styles and the different audios that play in the game. They are also twisted in a way that you will always run into a funny moment, a reference or even realize that you may have played that part in another game (this feeling is more common in the first game). It may be the least memorable part when we compare to the others, but it still shows the amazing work that Shiro Games did to tie all their ideas together. Finally, there are two points that I want to emphasize that are related to the Nintendo Switch version. The first one is that you don’t have to expect any new features exclusive to this version, which means that if you played both games before, you already played all they have to offer. The second point is that, especially where the second game is concerned, a few stutters and frame drops eventually occurred, even in 2D spaces, which even made me die once or twice, but it’s nothing that a future patch couldn’t solve and it won’t totally ruin your experience. 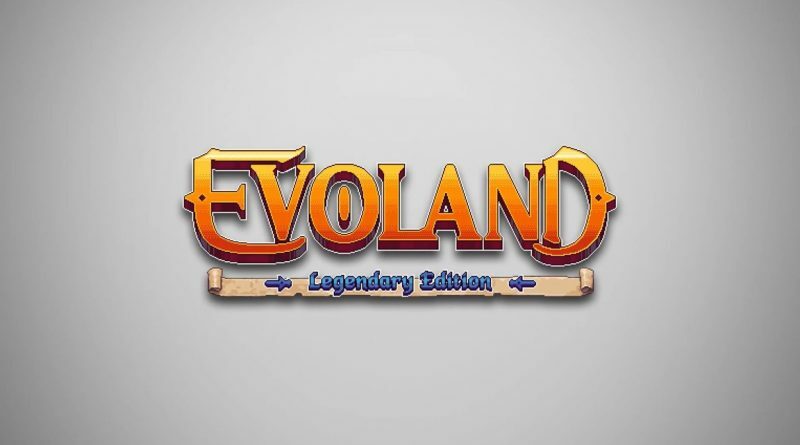 Evoland: Legendary Edition brings to Nintendo Switch two amazingly crafted experiences that are certainly unique and may even make you remember some memories from when you played certain old games. It ends up being a trip through video game memory lane while also not feeling outdated or that it rips off other titles. If you like the culture of video games in general, even if you don’t like so much adventure games, I am really sure that you will find two experiences that will hook you up for a few ( or many) playthrough sections with many parts that will make you feel like Captain America.